the first attempt to join painting issues with sculpture. 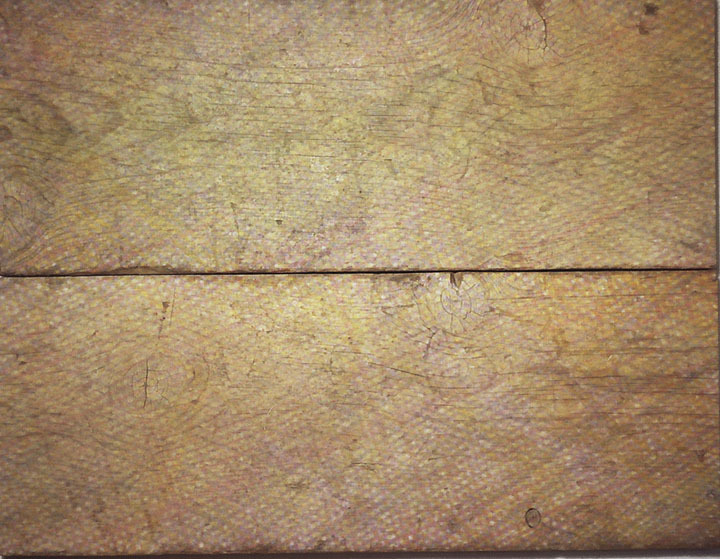 A series of colored lines were sprayed into the wood plank prior to cutting it into two equal sections. H: 16 in. x W: 24 in. x D: 1.5 in.